Last year was the Dallas/Fort Worth’s wettest year EVER in history according to the National Weather Service. At 62.61 inches of annual rainfall and precipitation for 2015, the previous years don’t even come close to beating that record. The next wettest year was back in 1991 when the DFW metroplex received 53.54 inches of rainfall, so not only was last year the wettest year ever, but it was the wettest year by over 9 inches! 2015’s rainfall in the Dallas/Fort Worth area was nearly three times the amount received one year previously in 2014(21.32 in). It’s still too early to compare the patterns for this year, but so far, it’s looking like it could be equally as wet as last year based on the monthly precipitation amounts. The question is, though, can our roads handle it? In this article from the Star-Telegram, the roads surrounding Dallas and Fort Worth were described as “swiss cheese” following 8 inches of torrential downpours of cold rain in December of 2015. Even as early as March of 2015, local news, CBS DFW, was reporting on the hideousness of the deteriorating roads throughout the area. Why does more precipitation mean more potholes anyway? 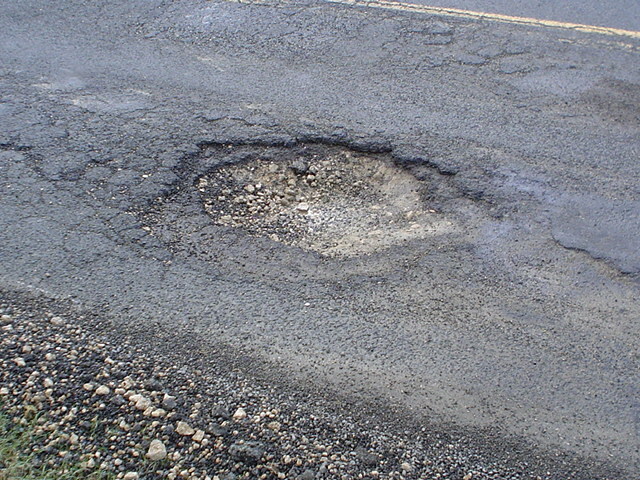 Potholes are generally more prevalent during the months that drop below freezing at some point during the day or night hours. When rain or snow falls, it seeps through tiny cracks in the pavement to get to the ground. There, it freezes and expands, pushing the pavement above it upwards. Once temperatures rise above freezing, the ground warms up and contracts, but the pavement stays in the “pushed up” position. This creates a gap, or hole, between the pavement and the now contracted ground below it. Once cars drive on top of this hole, the pavement collapses and begins breaking off until it finally turns into drivers’ most hated nemesis–the pothole. 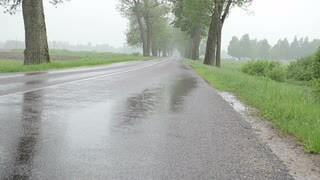 With this year shaping up to be as wet as last year according to the National Weather Service’s information, we are standing by and are prepared to battle each pavement issue quickly and effectively. We’ve mastered everything big and small, from pothole repair and road resurfacing to trip hazard removal and sidewalk crack repair. We’re a family owned business who stands by all of our jobs by offering quality work backed up by a 1-year warranty. For any weather related pavement issues that you run in to, give us a call at (817)451-0011 and see why we’ve been the leading asphalt and concrete expert in DFW for over 20 years!